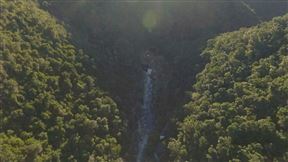 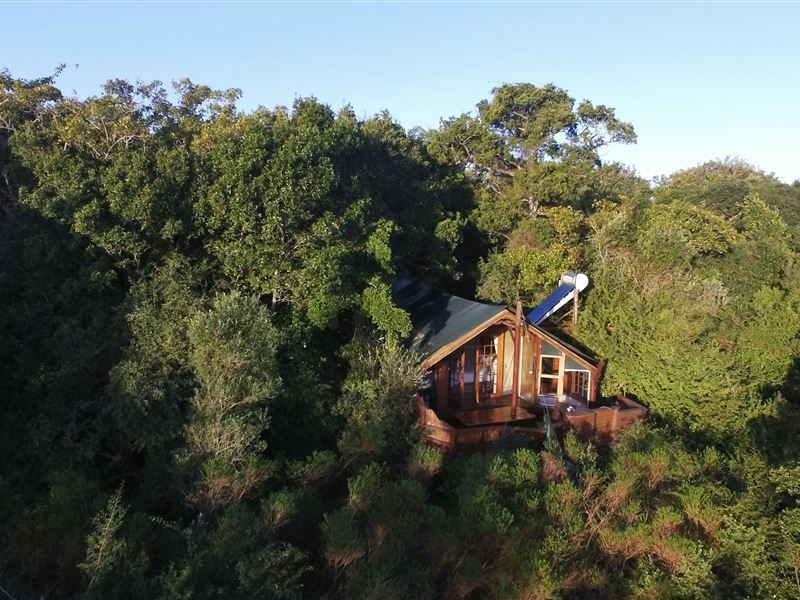 Teniqua Treetops is an eco-friendly, self-catering or bed & breakfast treetop resort in the Garden Route of South Africa. 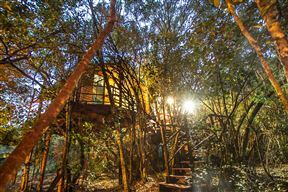 Each tree house provides unique accommodation in the indigenous forest. 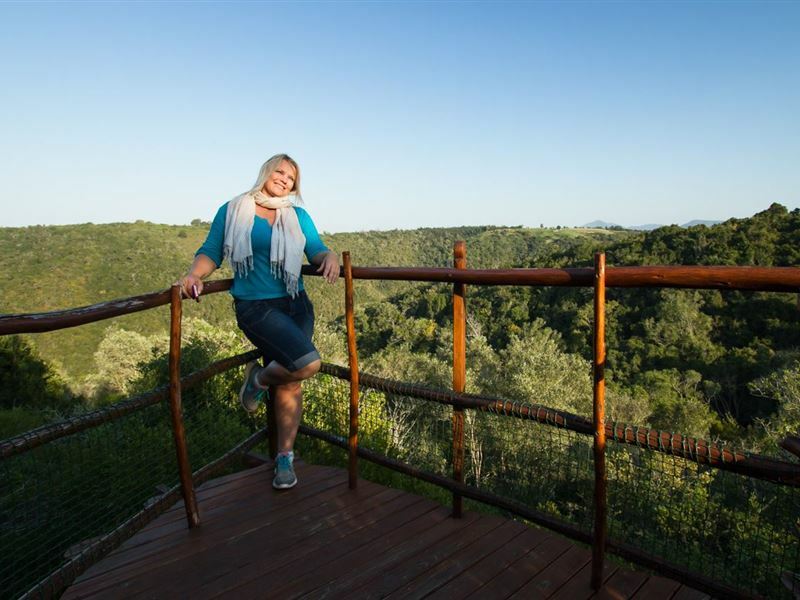 They are all fully equipped and include a kitchen with a microwave, gas cooker, large fridge and a Weber braai. 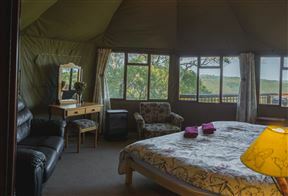 The bedrooms have electric blankets and heaters for those rare cooler evenings. 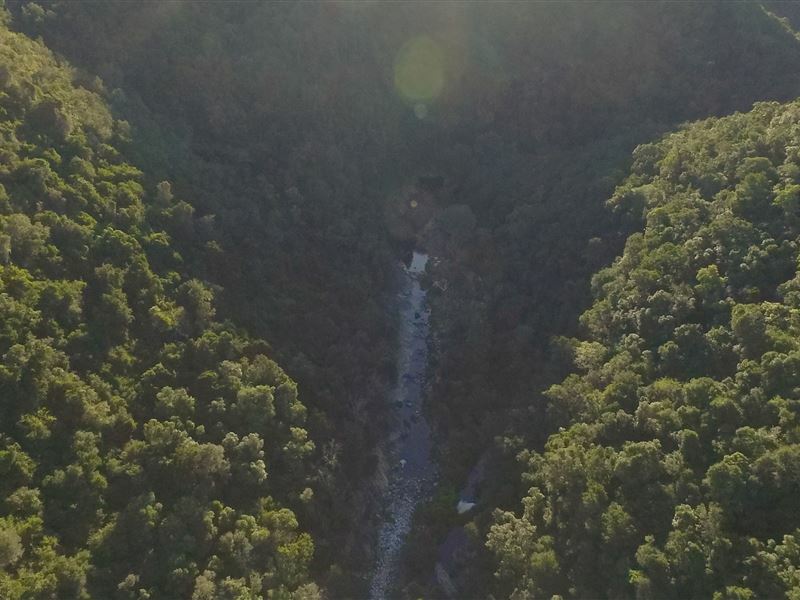 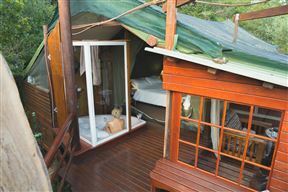 The bathrooms feature either a bath or shower and stunning mountain and gorge views.There are great walks in the indigenous forest as well as down to the river where there are large pools for swimming. 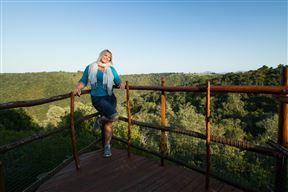 There is also an entertainment area with swimming pools, trampoline and table tennis.The resort is ideal for honeymoon couples or nature-friendly families. 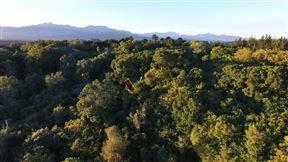 The farm is 35 hectares, 25 of which have pristine indigenous forest. 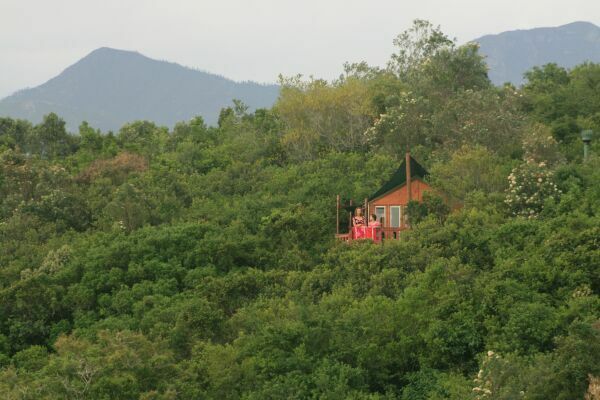 There are a total of eight tree houses, ensuring maximum privacy and tranquility for our guests. 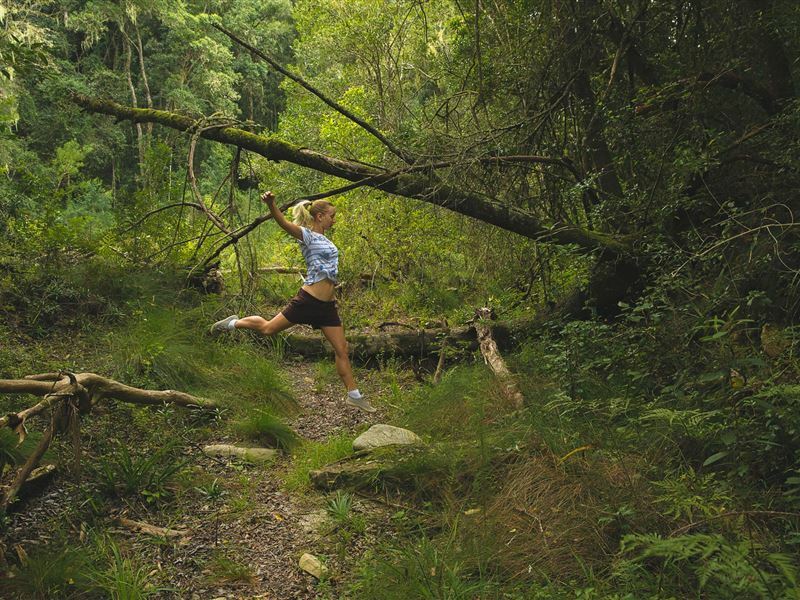 Please be aware that this is a very rural and different experience. 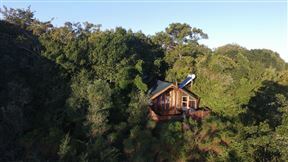 The Couples treetop suites are discretely set above the indigenous forest overlooking the Karatara river gorge. 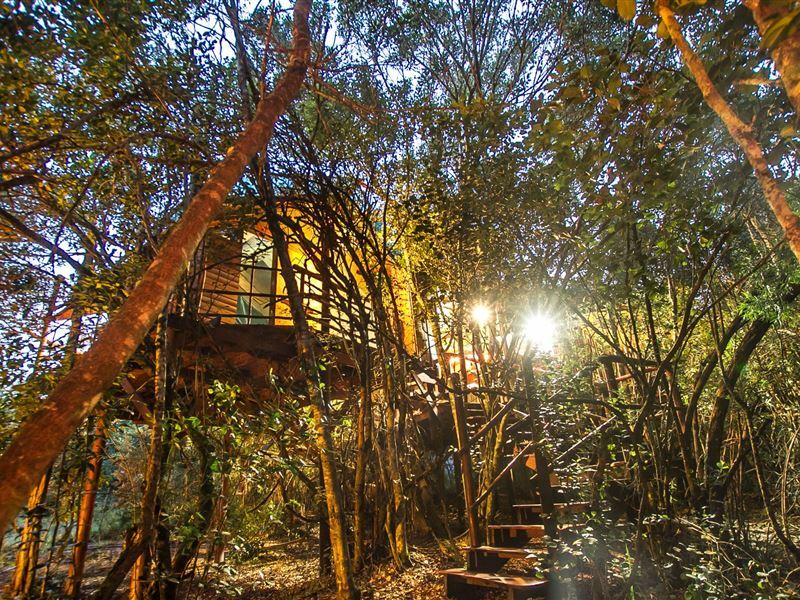 They all have sunken corner baths looking into the forest, very private and tranquil. All our 1 bedroom treetop suites are discretely set above the indigenous forest overlooking the Karatara river gorge.These tree houses have one bedroom with a queen and a bunk bed. 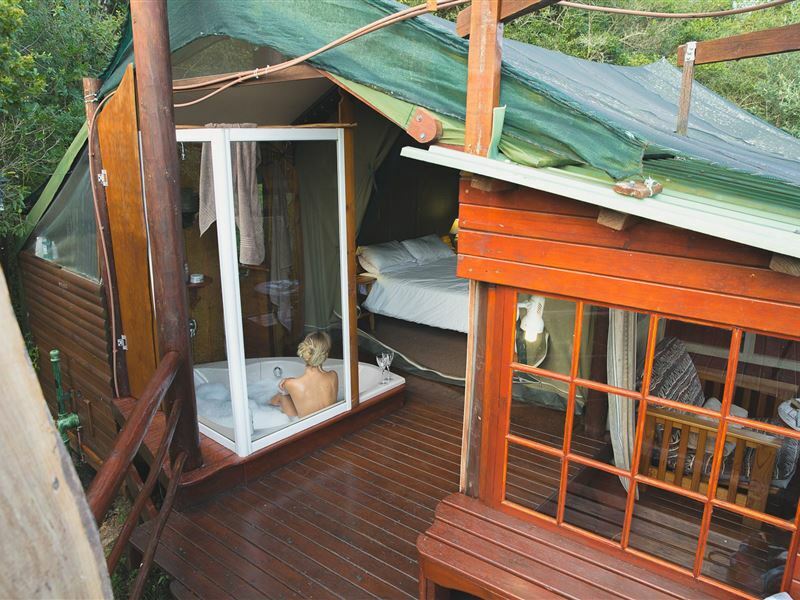 A single bed sleeper couch is available for a toddler. 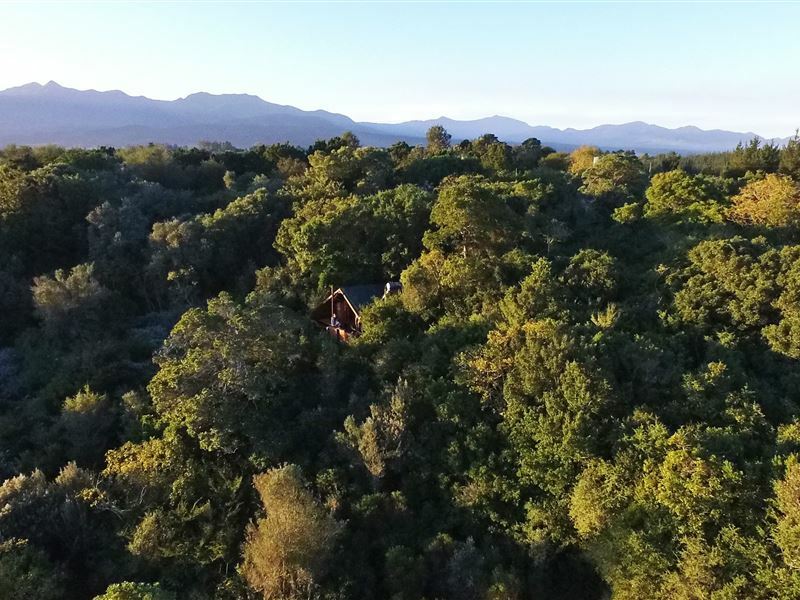 All our Family Double treetop suites are discretely set above the indigenous forest overlooking the Karatara river.These tree suites have 2 separate bedrooms one with a queen bed, the other 2 single beds. Additional sleeper sofa available on request.